People Losing Vision Often Need Help With Depression : Shots - Health News Losing vision due to macular degeneration can spark many other losses, and patients are more apt to be depressed. An eye doctor discovers there are things she can do to help. 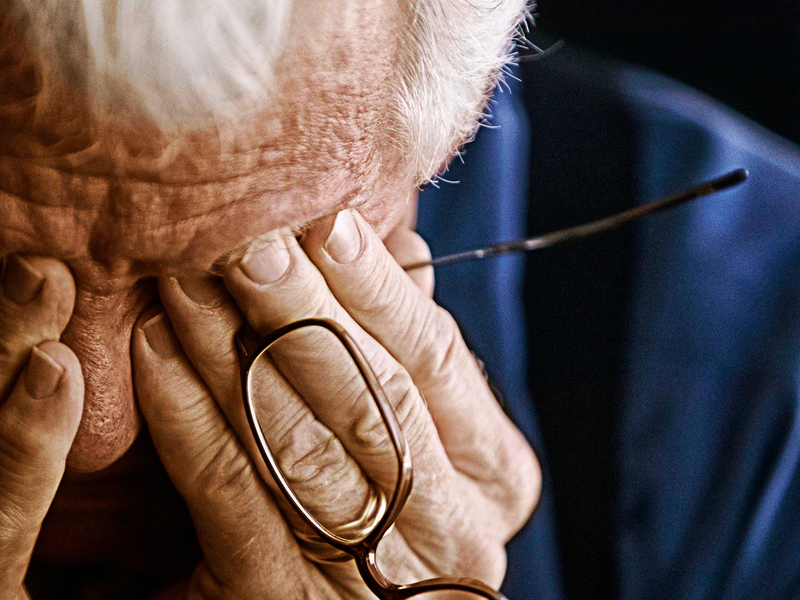 The losses that come with age-related macular degeneration can make depression more likely. I'm a retinal specialist, an ophthalmologist who specializes in the back of the eye. 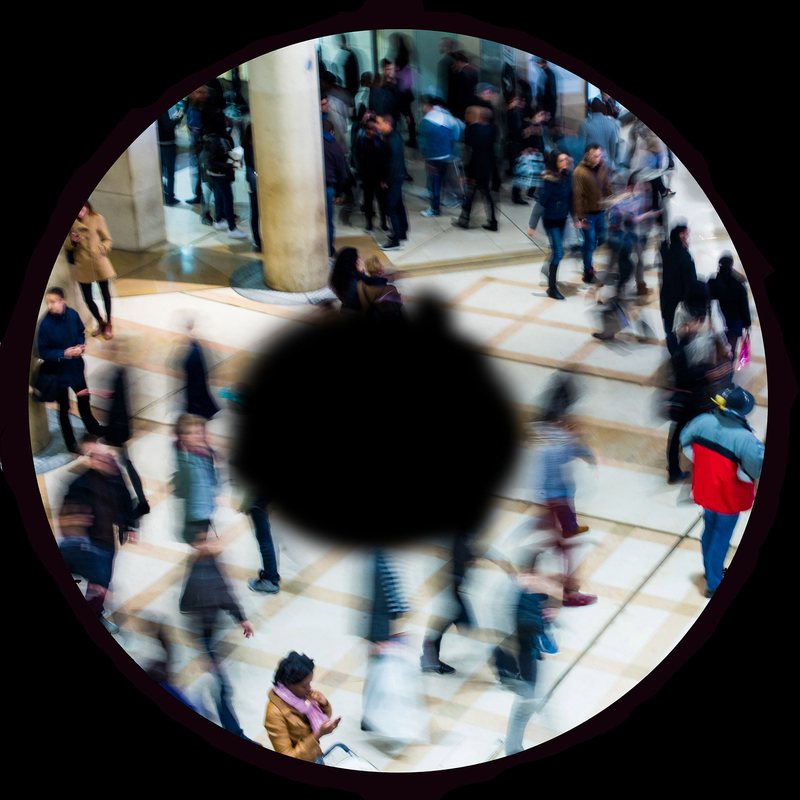 I see a good number of patients with age-related macular degeneration, or AMD, a disease that limits central vision. It affects at least 6 percent of the population, and the more severe form with significant vision loss will affect about 3 million people by the year 2020. People with AMD can have trouble recognizing faces, reading, driving and navigating their everyday lives. We are constantly searching for new treatments, different ways to battle the disease and the havoc it wreaks on vision. But I've started to wonder if we are missing out on a big opportunity to help our patients — treating the depression that can come with such a major loss. Someone recently asked me how many of my patients have depression. I realized I had no idea. In fact, 10 to 30 percent of people with AMD have depression, which is double the normal rate for people older than 70. About 22 percent of those who come to low-vision clinics have mild to moderate depression, according to Dr. Judith Goldstein, an optometrist at the Johns Hopkins Wilmer Eye Institute who specializes in providing low-vision services. A simulation of what age-related macular degeneration looks like. The rate of depression has gotten a little better since we added anti-VEGF therapy, which can slow the progression of the wet form of macular degeneration. But many of the patients in my waiting room are still quite distressed. It's not surprising that people with macular degeneration are depressed. AMD is a disease of older people, and a significant number of them have gone through life in good health and figured out how to manage their lives. But the disease forces them to deal with adversity and change the way they have been living for years. They struggle to find new ways to cope. Dr. Barry Rovner, a geriatric psychiatrist at Thomas Jefferson University who studies depression in patients with AMD, puts it this way: What if "something happened to you and you suddenly couldn't do the thing that was most important to you? That's a loss, and people differ in their capacities to manage loss. Some people take it in stride after a period of mourning, like any loss." But some don't cope as well. "You can't do things that you used to like to do," Rovner says. "It changes you. It forces you to change your perception of yourself." Merely handing antidepressants to patients with AMD doesn't help, Rovner says. "It's not as simple as just saying, 'Oh, you're depressed? Here, take Prozac, it'll make you better.' Instead, what's going to fix it is getting into their lives and helping them adapt to the new circumstance." Rovner and his colleagues have found that helping people with low vision find strategies to cope with and adapt to their vision loss can help prevent depression in the first place. Goldstein puts many of these strategies into use. In her clinic, she helps to identify things the patient has trouble doing, break that down into tasks and then adjust each task, tailoring it to the patient. For patients who are frustrated about losing the ability to cook, low-vision specialists and therapists dissect each step of the cooking process. Instead of buying whole vegetables, people can use prechopped ones. If they are having trouble using the stove, they may be able to use the microwave instead. For a patient who is struggling with losing the independence that goes along with driving, low vision specialists and therapists can't restore driving vision. But they can help figure out ways to get around without always having to ask family members for help or rides. Certainly improving function can help improve the depressed moods of many AMD patients. But in our medical system, Rovner notes, it's hard for time-strapped ophthalmologists and optometrists who may not be knowledgeable about mental health care to do anything about depression. One solution, he says, would be to have integrated ophthalmology teams, which include the eye doctor, a low-vision specialist and home visits with occupational therapists who receive extra training in recognizing depression and how to intervene. He is hoping to study whether this type of system can help treat or prevent depression. So what can I do now? First, I can send my patients to low-vision specialists such as Goldstein, who specialize in strategies to help those with vision loss. Many low-vision specialists also have a long intake process in which they closely examine patients for symptoms of depression. Oftentimes, eye doctors are so focused on treatment and what to do about vision loss that we forget to take that step. Even more importantly, Rovner says I can simply ask my patients: "How are you coping with this? What's it like for you?"